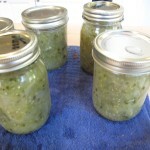 I was on such a canning kick early last week dealing with the blueberries and tomatoes. 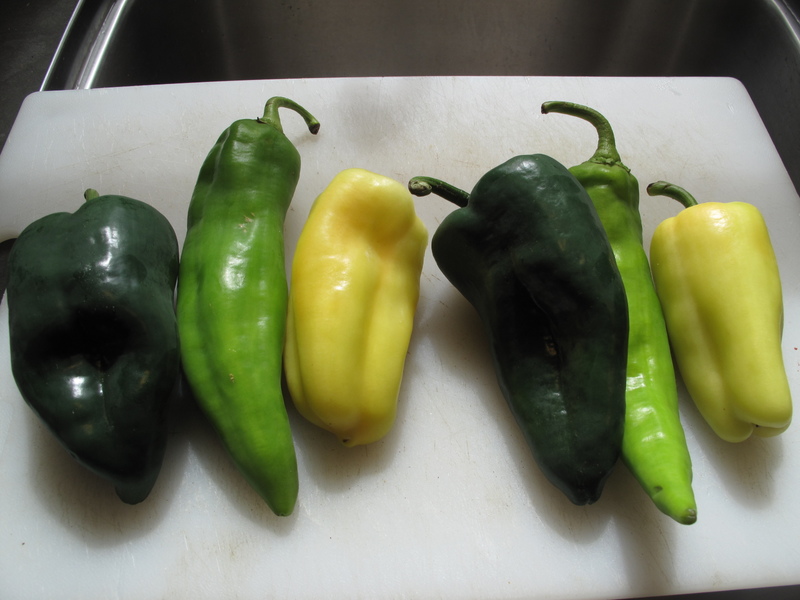 Unfortunately it wore off quicker than I would have hoped and I was left with piles of tomatillos, corn and peppers and no motivation. 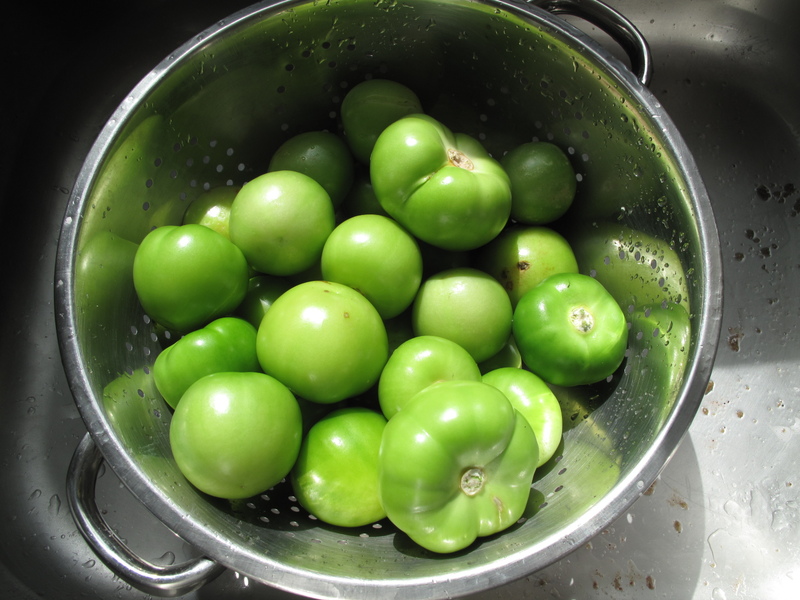 I shoved the corn and peppers in the fridge, but left the tomatillos on the counter thinking I would be reminded that they needed to be dealt with ASAP. I managed to avoid looking at them until I noticed a gooey substance leaking from the bag. I opened the bag and was horrified to find hairy mold growing. 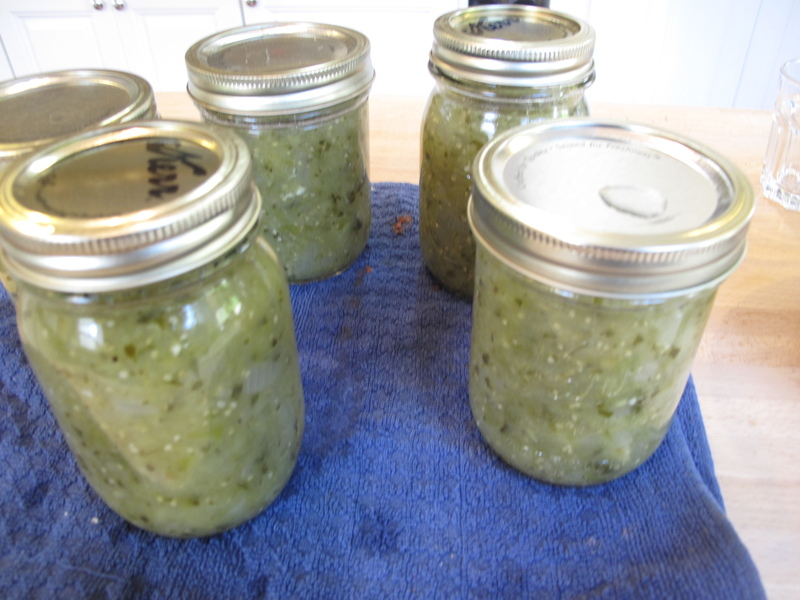 I felt my big plans for a year’s worth of green salsa (my favorite) as well as the money we spent on them going into the compost pile. I thought I might be able to salvage a few so I put on my industrial rubber gloves and attacked the bag. 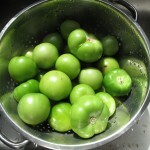 I was happy to find that I only really lost 3-4 tomatillos and was able to salvage enough for a respectable batch of salsa. 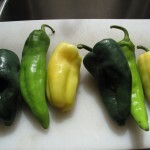 I roasted some peppers from Yakima and followed another recipe from the well used Ball canning book and I have to say I am happy with the results.